The poll gave Aboutaleb, a Labour party member, a seven point lead over the VVD’s Rutte among PVV voters when asked which of the two men they preferred as prime minister. Aboutaleb is also more popular among PVV voters than D66 leader Alexander Pechtold and Christian Democrat chief Sybrand Buma. Even 7% of the VVD back Aboutaleb over the prime minister and their own party leader. 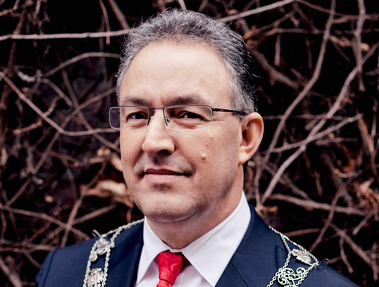 Aboutaleb, a Muslim, is known for his outspoken stance on radical Islam. In November he broke with the Labour party line and said Dutch nationals who have decided they want to travel to Syria to join Islamic militias should be allowed to go but should be banned from coming back to the Netherlands. And after last year’s terrorist attacks in Paris he said that the time is right to wipe out ISIS. The poll also showed a majority of PVV voters back Donald Trump over Hillary Clinton in the US presidential elections – making the anti-Islam group the only Dutch party to favour the Republican candidate, by 49% to 40%. PVV leader Geert Wilders has said he plans to attend the Republican party convention to show his support for Trump, who he has declared to be ‘brave’ and ‘good for Europe’. Among all other major Dutch parties, Clinton is the clear favourite. The poll shows no change in support for the major Dutch political parties over the past week. The PVV remains the biggest with 37 seats in the 150 seat Dutch parliament, but this is five down on the party’s high point earlier this year. The VVD is in second place on 23. The next Dutch general election takes place in a year’s time.